Recently added Falmouth School year 11 Btec dance and Elevate Dance Company on December 13th and Cornwall College Level 2 Drama Students on Friday the 14th. For the last 5 years, DR2 have organised highly successful primary school dance platforms with showcase performances at Hall for Cornwall-you may recognise the titles “Wild Rumpus”, “Iconic”, “Around the World in 80 days” and many more. Now that HfC is closed for re-furbishment, we need a terrific alternative plan to celebrate dance-making in schools. On the 12th/13th/14th December 2018 (Wednesday/Thursday/Friday) at Falmouth University AMATA or the Keay Theatre, Cornwall College St Austell. 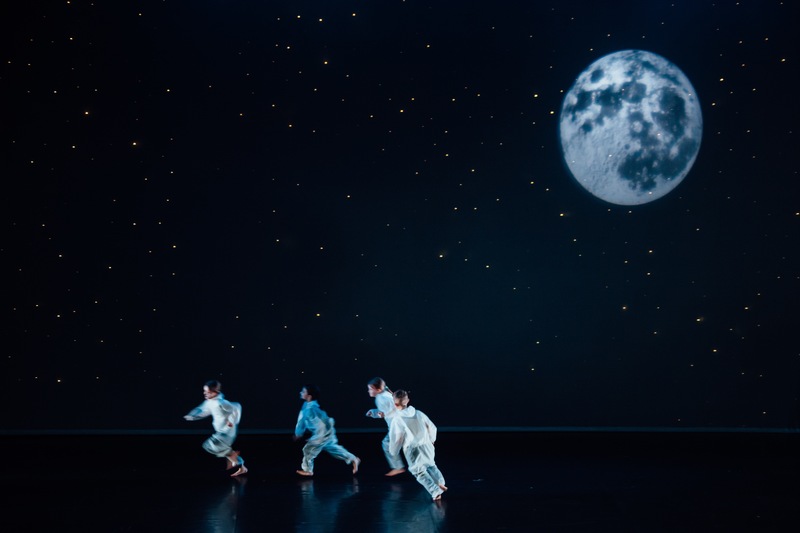 ‘Blue Moon’ brings together performances by different generations of dancers including primary school children, young dancers from the Propeller dance programme, Altitude at Cornwall College and from Falmouth University dance degree course at AMATA. This will be a unique celebration of great new dance works and a fantastic opportunity for younger dancers to be inspired by dancers of different ages and experience. Tickets for all 3 nights will be available from the AMATA box office.